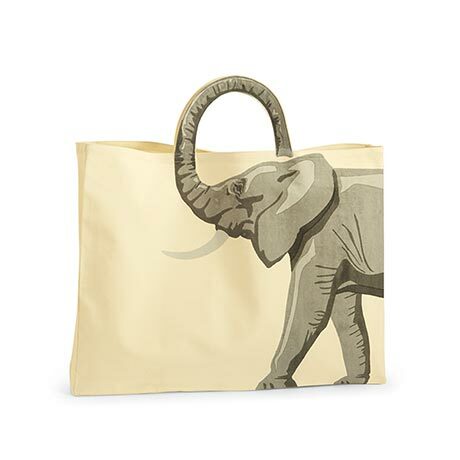 A gracefully curving trunk and long, elegant neck form the clever handles on our natural cotton canvas totes. Elephant is 18"w x 14"h x 3"d, Giraffe is 15"w x 14"h x 3"d (not including handles). Each is printed on one side.